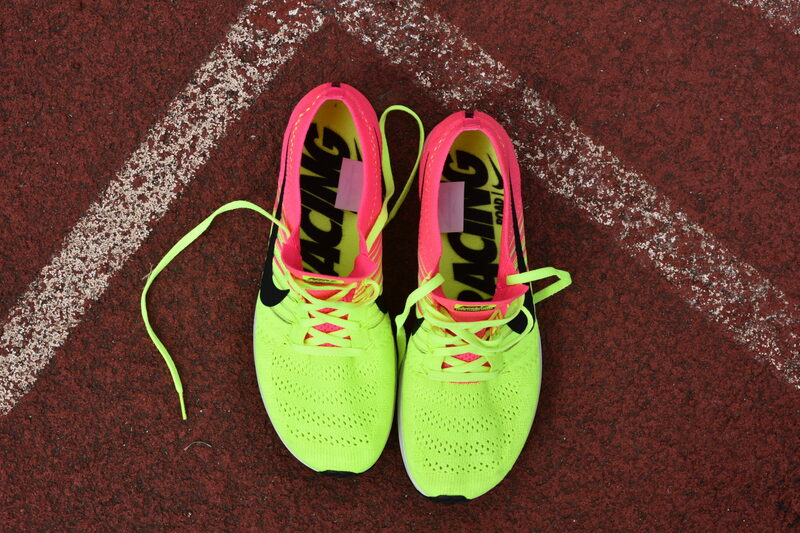 Nike have a range of road racing shoes. 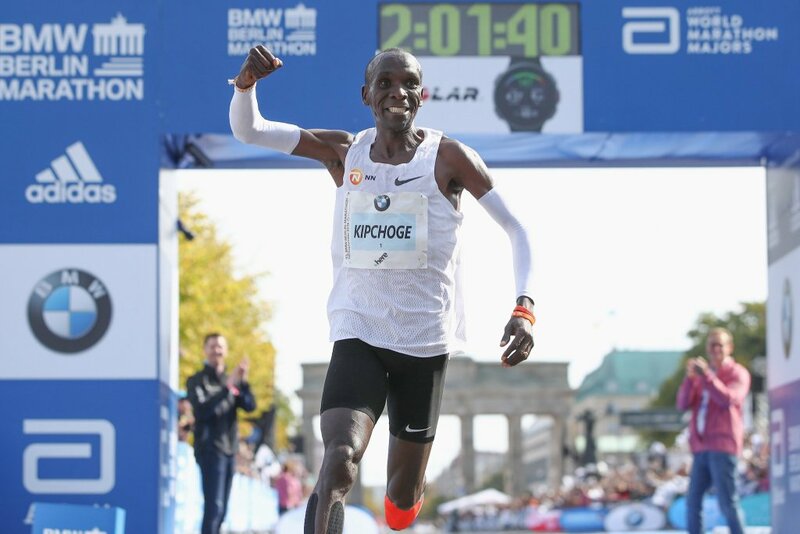 Their most highly publicised and successful pair undoubtedly being the Nike Zoom Vaporfly 4%. However, this is a well built, neutral shoe that suits the longer road races. 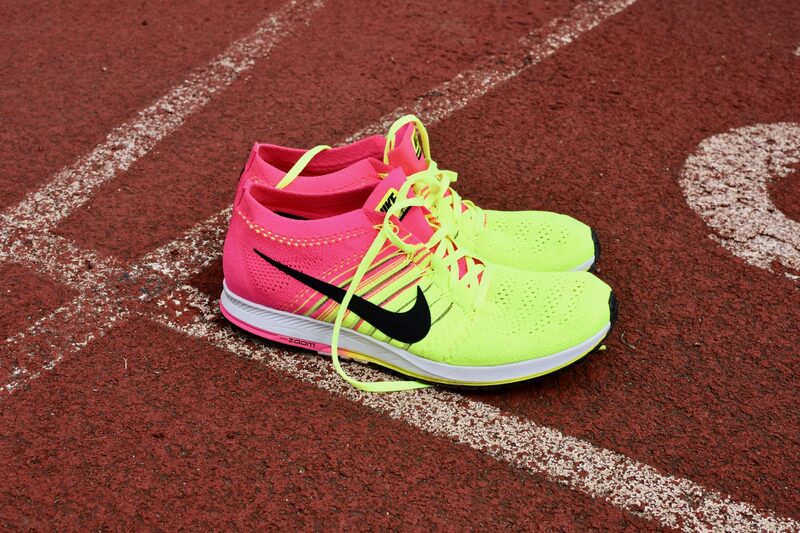 The shoe which meets road and track running in the middle is the Nike Zoom Streak 6. I have recently been trying out a pair of the Nike Zoom Streak Flyknit trainers, a less common Flyknit version of the Streak 6s. The design of these shoes is one of the most attractive features for many wearers. The Flyknit Streaks are very easy on the eye, a sleek, uninterrupted design makes these trainers just look fast. 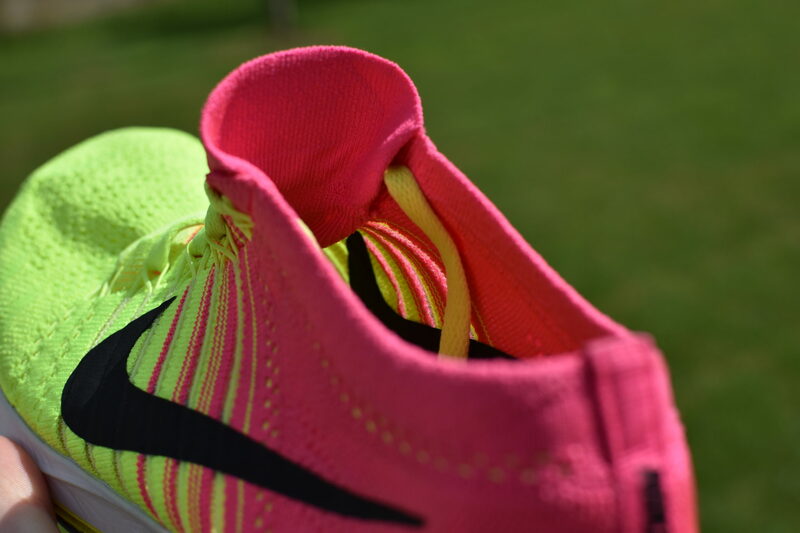 Nike have included the Flywire structure around the mid foot of the shoe. 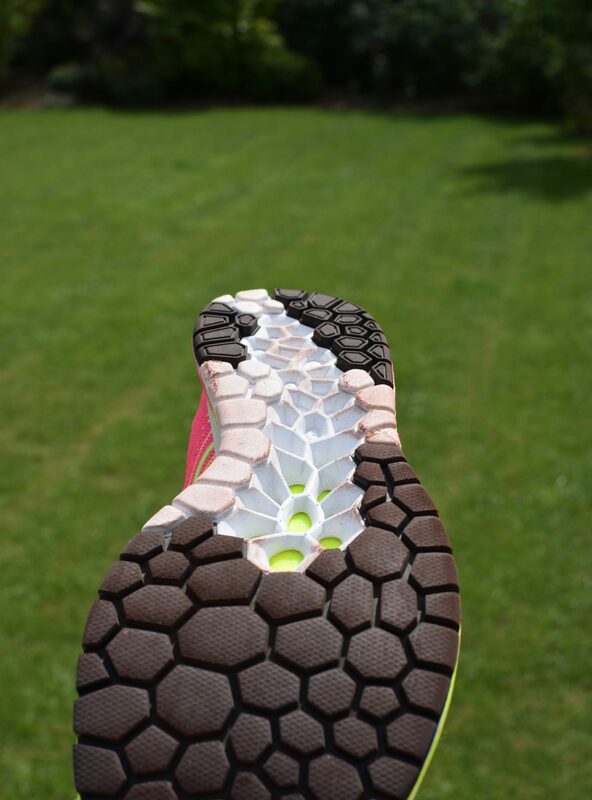 this tightens upon impact, holding your foot in place when running. The upper is a single piece of material, with the tongue incorporated into the design. The tongue of the shoe is of a flexible, stretch mesh which allows you to get just the right fit and feel when tightening the shoe. 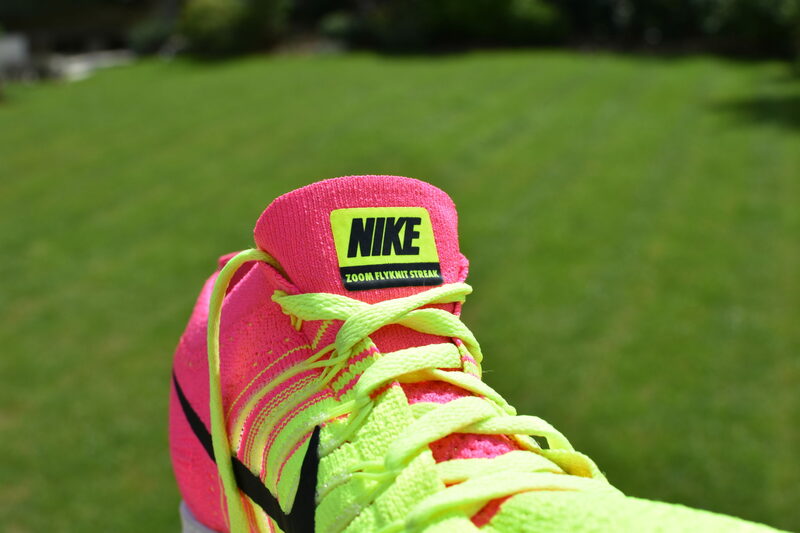 The sole of the shoe is a webbed design similar to that seen in other Nike trainers. One difference to Nike’s older Flyknit shoes is the introduction of a stiff plastic plate embedded between the sole and the midsole. 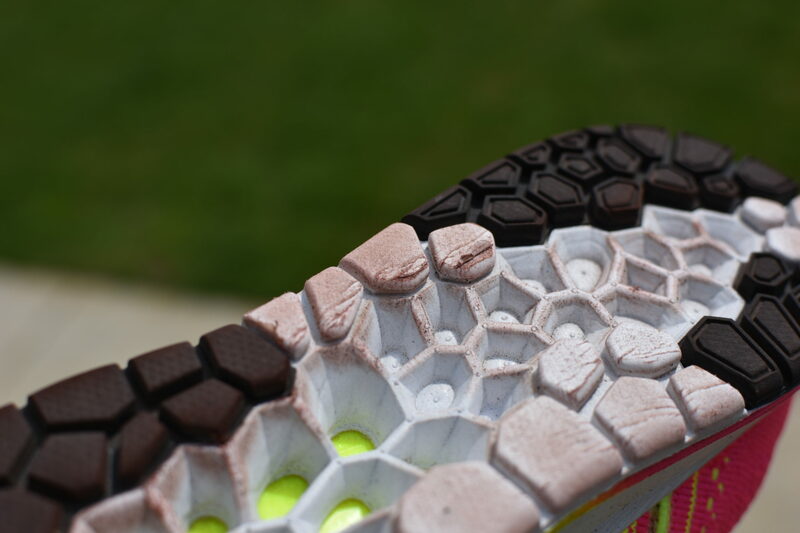 This allows for stiff, responsive feel to the shoe similar to that when wearing spikes. There are a variety of different colour ways that Nike have released for this shoe. The ones which I have are the Olympic ‘Unlimited’ colours from the 2016 Colours. Nike released these at a special event in London in 2016, I wrote a post about this post here. For those who haven’t worn a Flyknit pair of shoes before, the fit and feel is very different to other trainers. The light Flyknit fabric is flexible and moulds to your foot when tightened with the laces which are connected to the embedded Flywire. From the heel through to the mid foot, these shoes are incredibly snug and well fitting. They mould to the shape of the foot and feel like a pair of spikes. However, the one concerns hat I have found is with the forefoot. For me, these Nike Zoom Streak Flyknit shoes run a little large and spacious around the forefoot area. This, I think, is due to the Flyknit material which is woven a little loose around the toes. This gives a little extra wiggle room but I would suggest getting a half or whole size smaller than usual to ensure a tight fit. 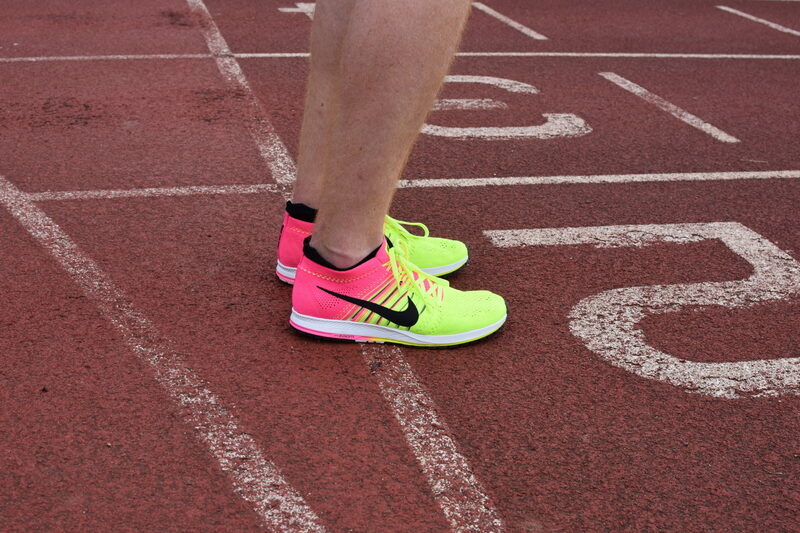 As for running in them, the Nike Zoom Streak Flyknits are amazing! They are a low-riding neutral shoe that has a very small heel to toe drop of 8mm making them perfect for road racing and track running. With the overall shoe weighing in at such a low level for a pair of running shoes, you hardly feel as if you’re wearing trainers, again, creating the effect of running in spikes. 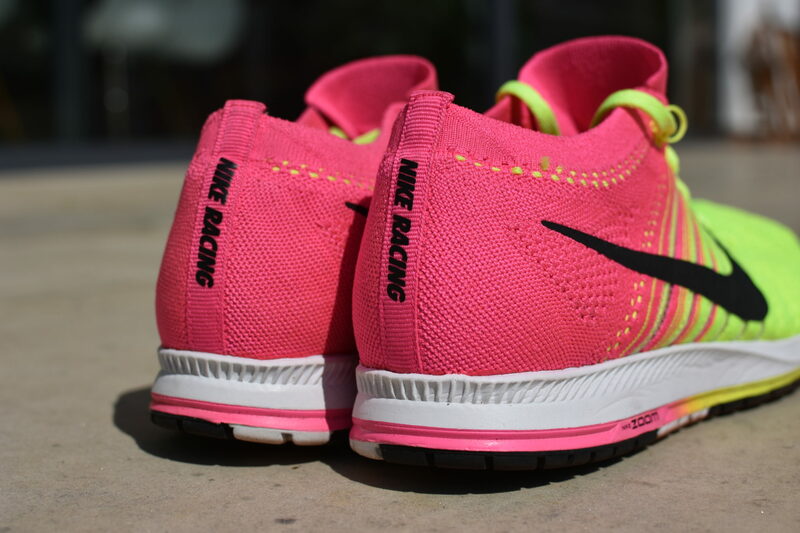 The midsole is one of the best Nike have produced in a racing shoe. They have combined a responsive and light material with an amount of cushioning that is just right so that you don’t feel like you are running barefoot, a criticism I would have of the Nike Zoom Streak LTs. The sole of this shoe is great. The textured material creates great traction allowing for a responsive feel in all weather. The only slight issue with the sole that I have found is a slight wear and tear. now this is understandable with any shoe, however I have found this to be the case after only a few sessions. The overall performance of the Nike Zoom Streak Flyknit shoes, for me, has been great. They have an overall tighter and snug fit than I was expecting due tot he use of the Flynkit and Flywire. The use of the Flyknit material which is in place of the standard Flymesh material used on the other Nike Zoom Streak 6 versions was a real improvement for these trainers, giving extra mid foot support upon impact. The cons of the Nike Zoom Streak Flyknit are few. The forefoot certainly feels a little isolates with the wider and more open covering from the Flyknit, something which isn’t experienced with the Nike Zoom Streak 6s. Apart from this and the slight wear and tear (which is inevitable) these are the perfect shoes for a short road road or track training.